Eleanor Burns does it again with her Forever Love collection! You get three for one here--Forever Love is divided into three mini collections which you can mix and match. Floral bouquets, small buds, packed florals, a floral stripe, leaves...this collection has it all. 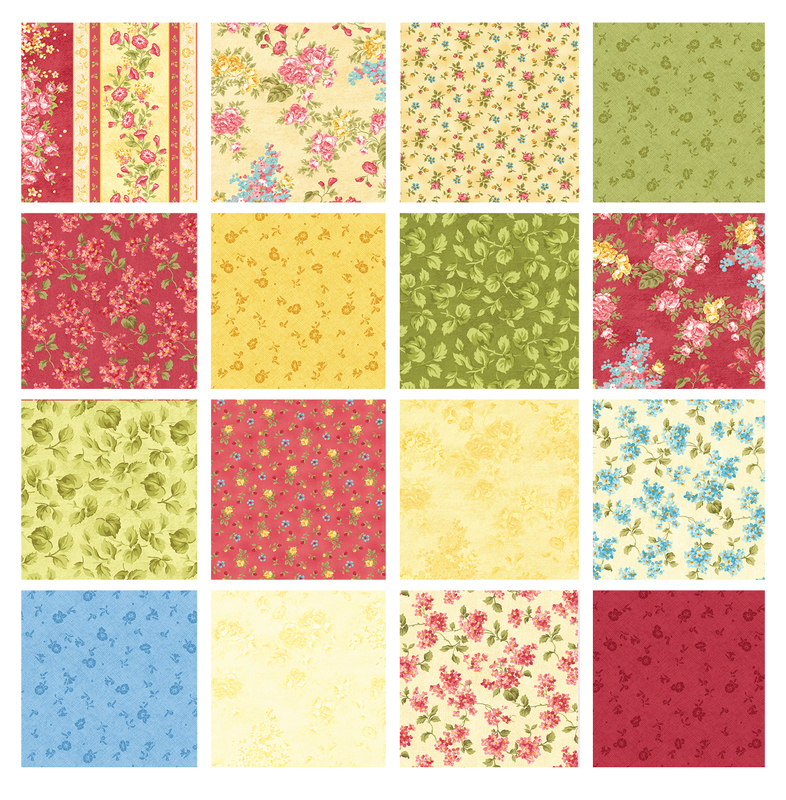 The fresh and cheery color palette works year-round--plan your next project using Forever Love! And of course there's a free pattern! French Villa uses prints from both Flora and Forget Me Not, capped with the beautiful floral stripe. We'd also like to take this opportunity to send a shout out to Eleanor, who broke her leg recently. Wishing you a speedy recovery! 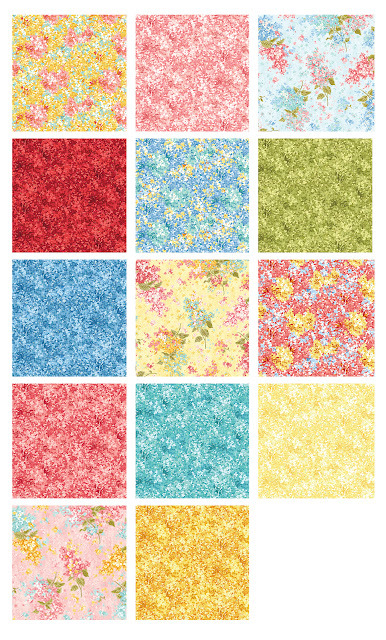 Click here to see the entire Forever Love Flora collection. 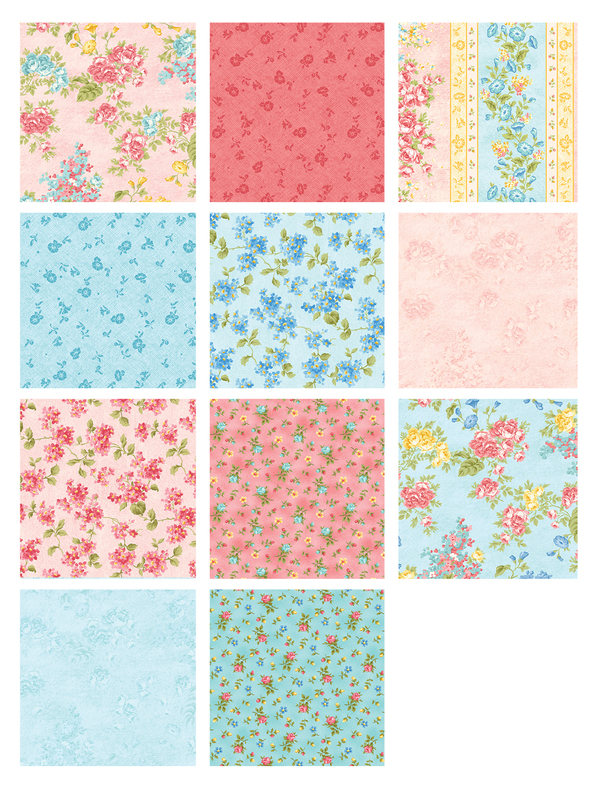 Click here to see the entire Forever Love Forget Me Not collection. Click here to see the entire Forever Love Morning Glory collection. 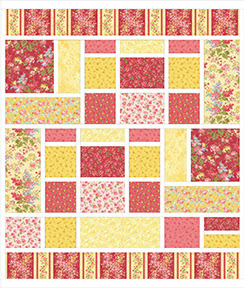 Click here to find the French Villa quilt pattern. Eleanor, prayers for super fast healing! I hope it wasn't your right leg, but I'll bet you can manage to sew with your left foot too! Love this collection as I've always had a crush on teeny flower patterns. All of the collections are lovely. My favorite would be Forget me not. Wow. Sorry Eleanor, get better quick. I love all three designs! Awesome! Hope Eleanor get a speedy recovery.These collections are super cute.